Description about eBook : The ‘TripuraNava’ system is an incomplete text of Tripura theory, which initially says that it is a compendium of the larger text. Its text was edited on the basis of handwritten manuscripts of Saraswati Bhavana School of this University. 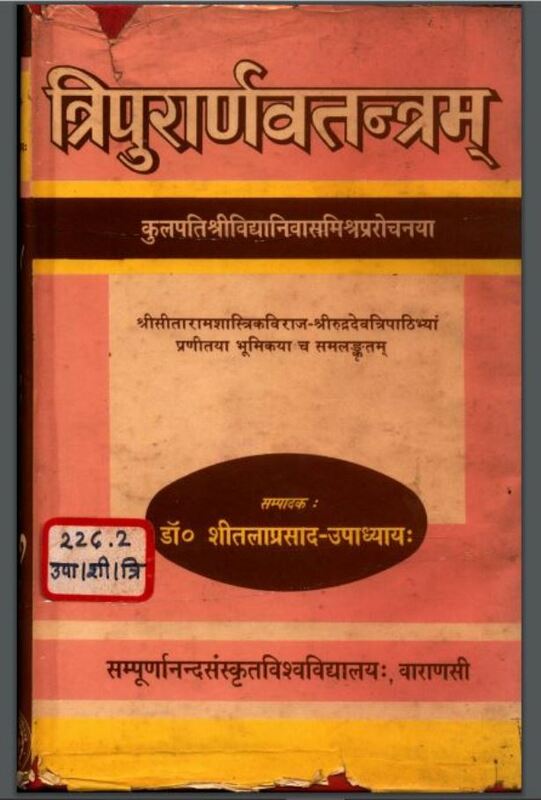 Mainly the manuscript of Saraswati Bhavan Library – its basis was made on 9 0637………….